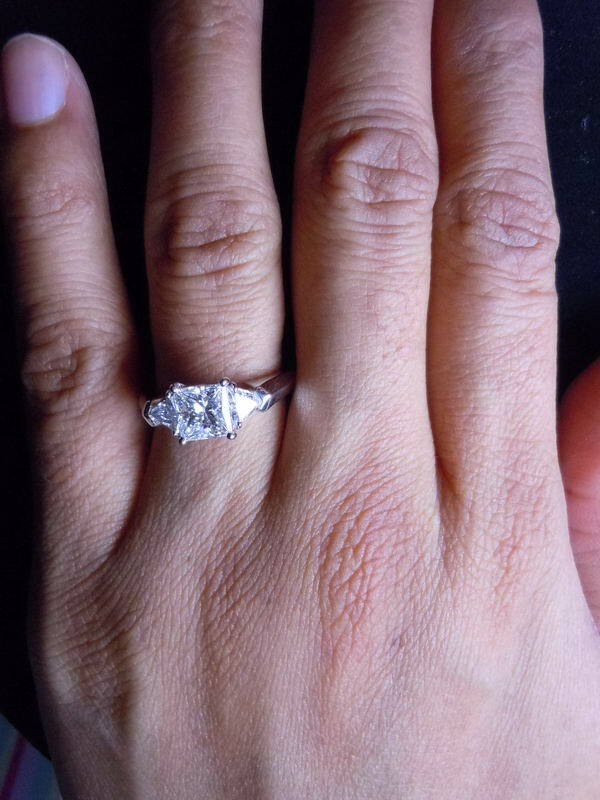 Actual photos and Videos of the Diamond and ring we are offering. 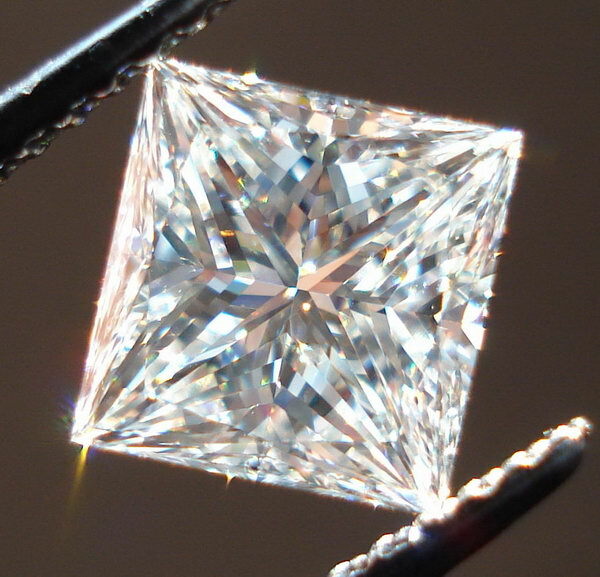 Many of the most popular diamond selling sites on the internet force the buyer to choose based on numerical info- no photos. To this day it surprises me how many people buy that way. 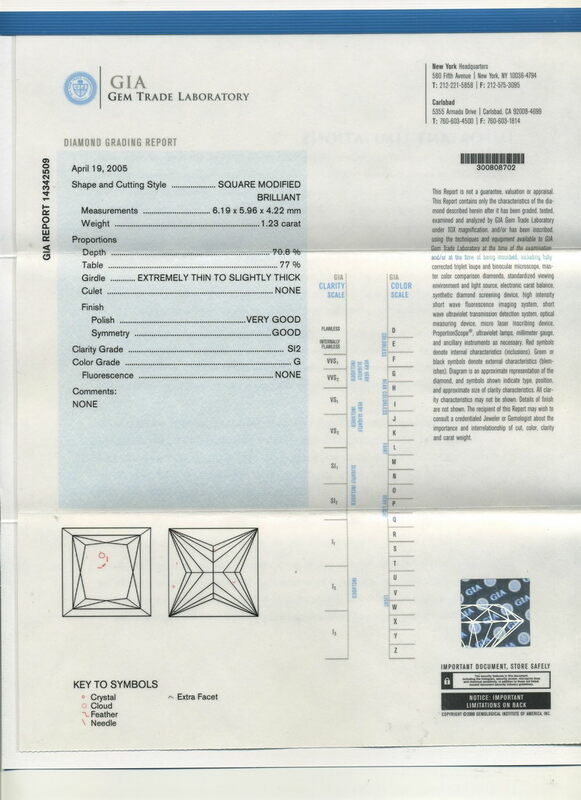 As a professional diamond buyer, I know that it matters not what the GIA report says if the diamond is a barker. 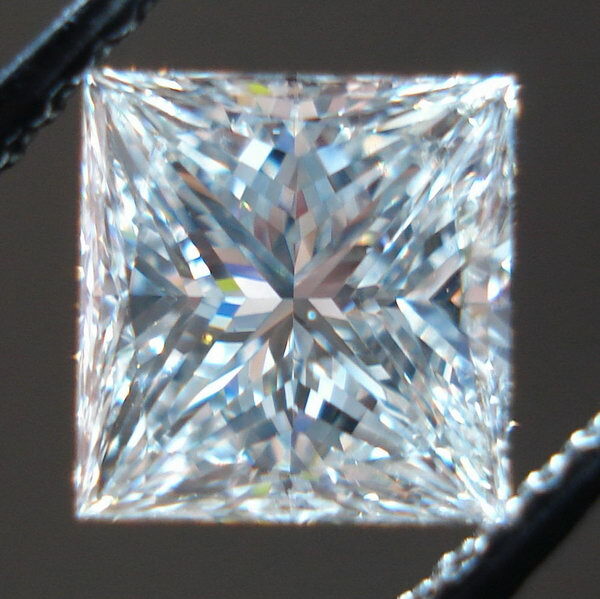 In the other hand, if a stone looks amazing, I'm inclined to consider it no matter what the GIA grades it..... much less how it scores on some chart grading the cut of diamonds somewhere. 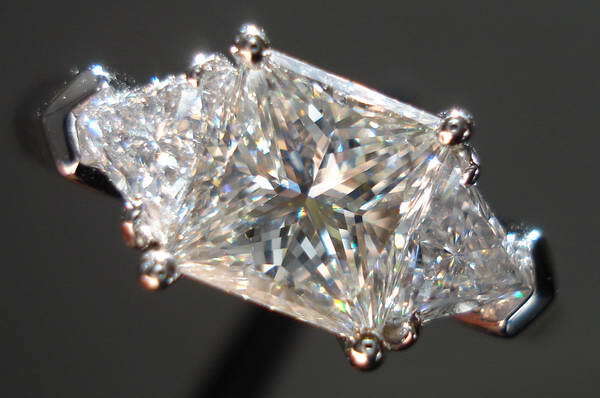 Going strictly by numbers this is still an attractive diamond. The size- at 1.24cts, is desirable. 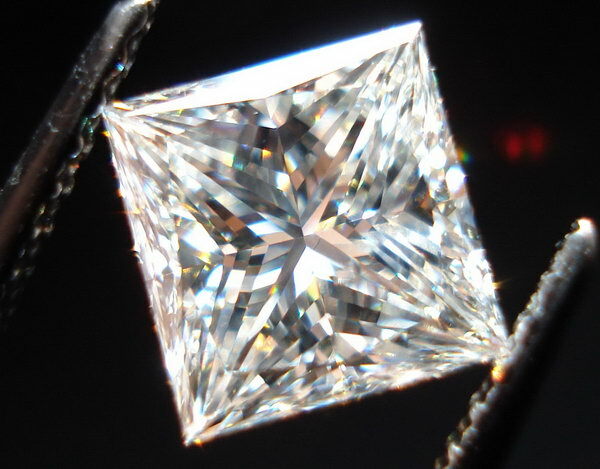 The cut is quite lovely. 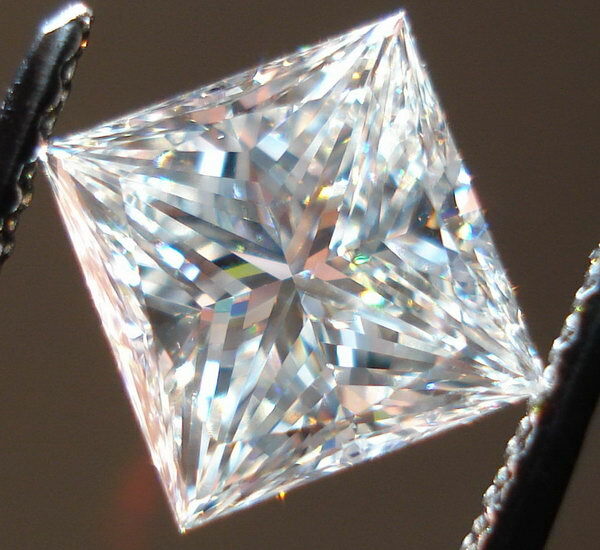 The stone has a large face for a carat and a quarter- people will guess it's a carat and a half. The color is an extremely white G color. 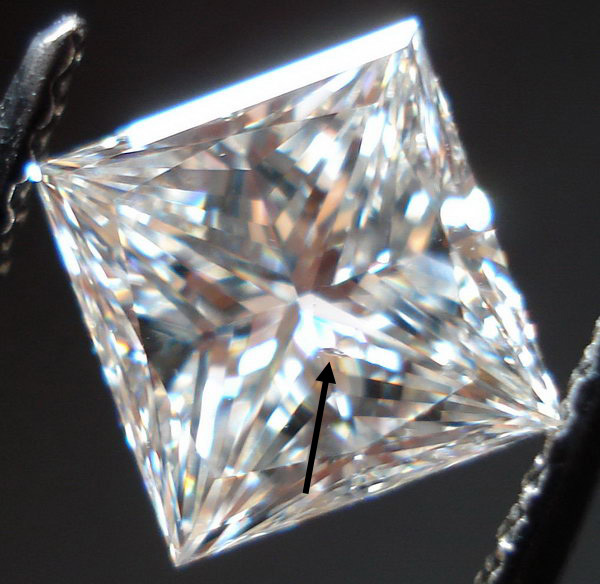 When GIA grades for clarity, it is not based on the visibility of an imperfection- rather, it's presence. That means that not all SI2's are created equal. In many cases an SI2 may not be eye clean. 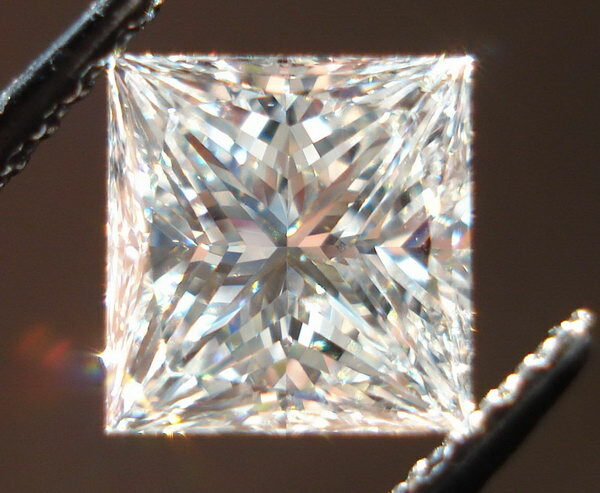 This stone is an eye clean SI2. After looking at all these hi-res photos, I could find only one that shows the faint feather. 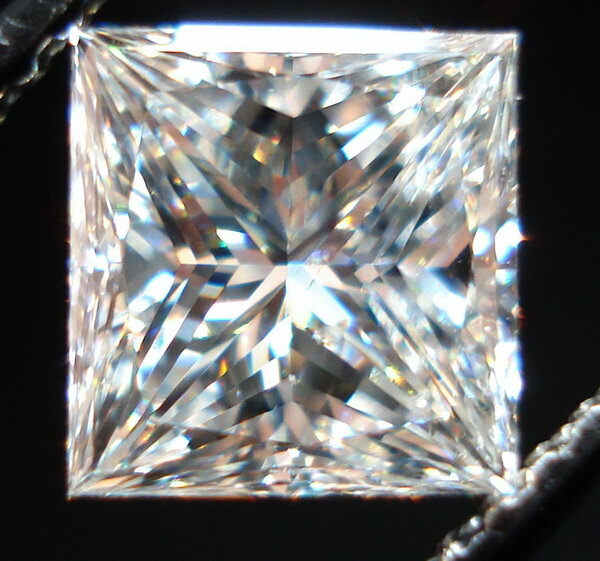 The cut on this stone is awesome. 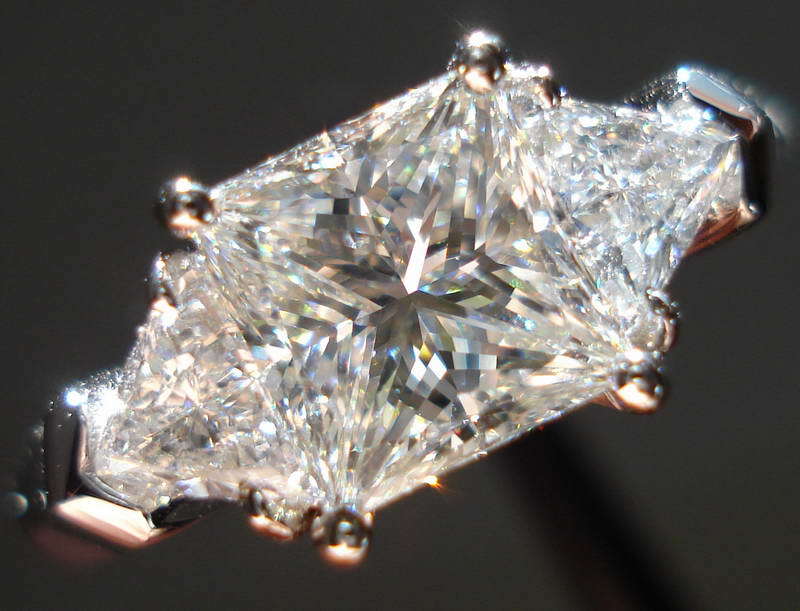 It sparkles from any angle - even in dim lighting. 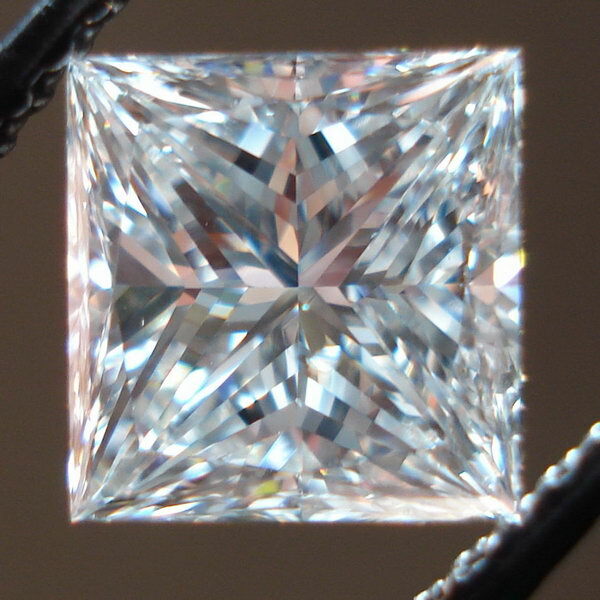 These photos do not lie- the stone is remarkable in person as well. 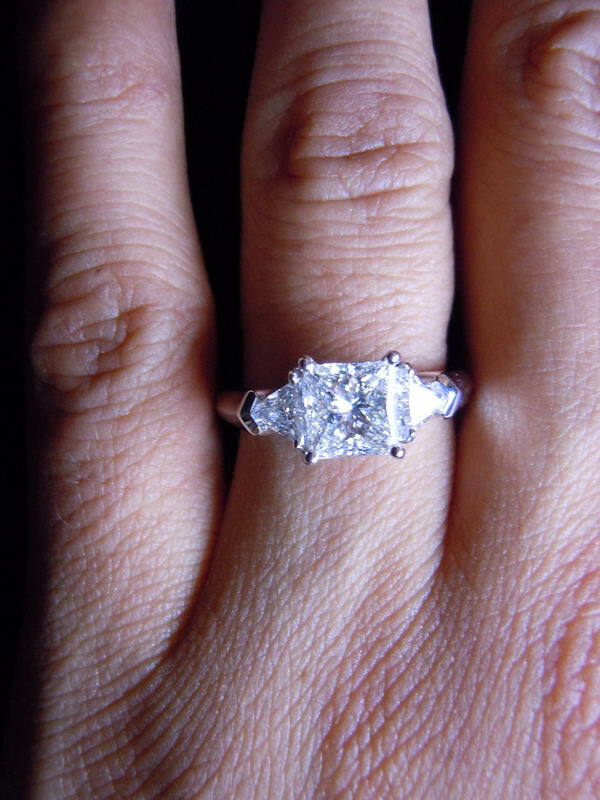 It takes a custom made ring to look like this. Perfect stone placement. 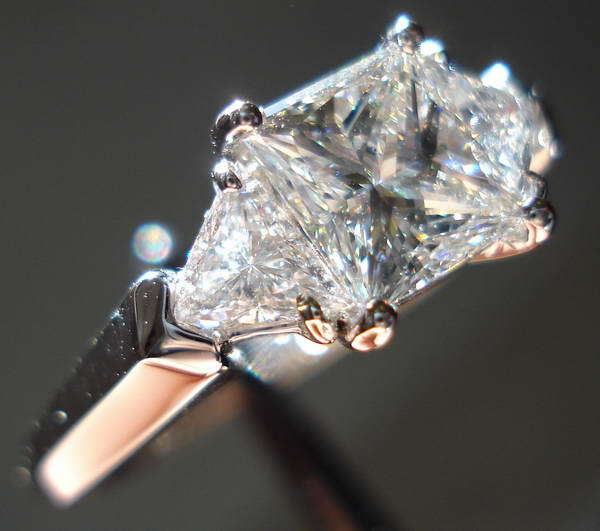 Having all the prongs positioned properly- as well as a perfect shank for the stones. 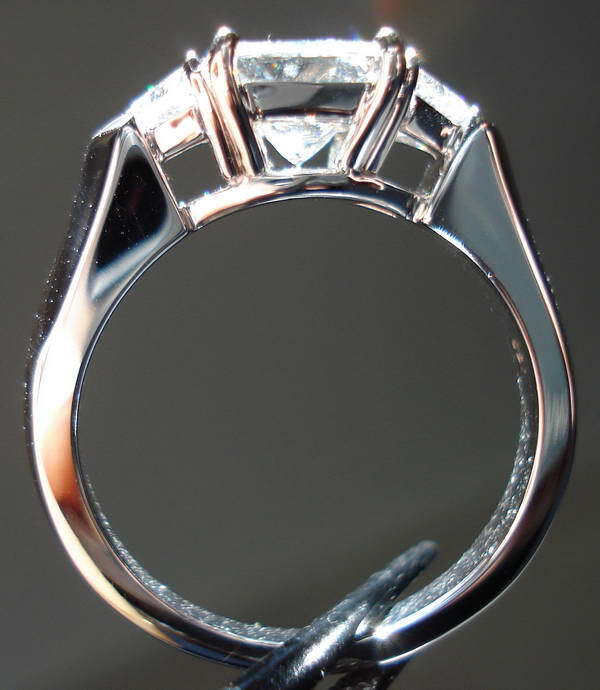 The ring will be comfortable to wear- for the long haul. 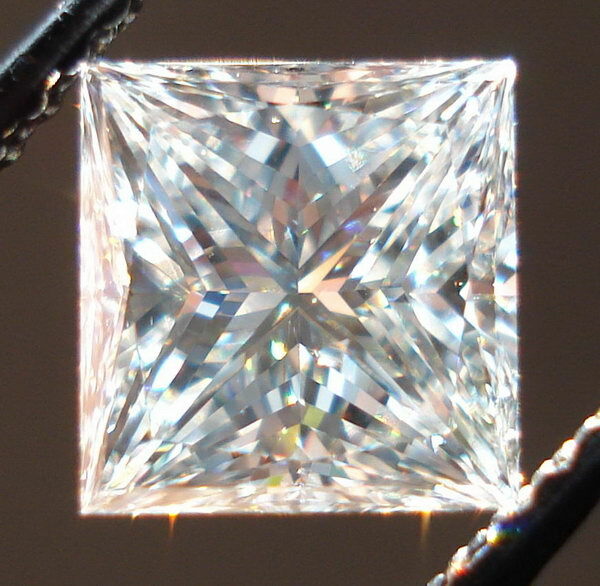 The trilliants are incredibly bright. Beautiful color and cut.